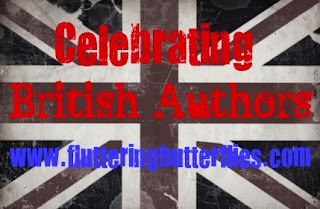 And because I've had so much fun with this British themed month and reading so many brilliant books by British authors, I will continue to read as many books by British authors as I can get my hands on. Here is a small list of some of the books I'm dying to read which are not yet published. Links shall go to the books' GoodReads pages. 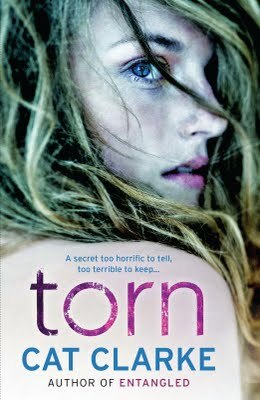 Torn by Cat Clarke - Bah to all of you bloggers out there who have already recieved ARCs of Torn by Cat Clarke. I am absolutely desperate to read anything written by Cat Clarke EVER after her amazing debut, Entangled. I loved Entangled so much and I fully expect to love Torn just as much. This book is officially published on 5th January by Quercus. Adorkable by Sarra Manning - No cover image for this one as yet, but it is due to be published by Atom the 24th of May (is that right?) so there is a bit of a wait for this one. I'm just so excited for it. I absolutely adore Sarra Manning and I shall always look forward to more of her books. This one sounds brilliant. I really just can't get enough of Sarra Manning. 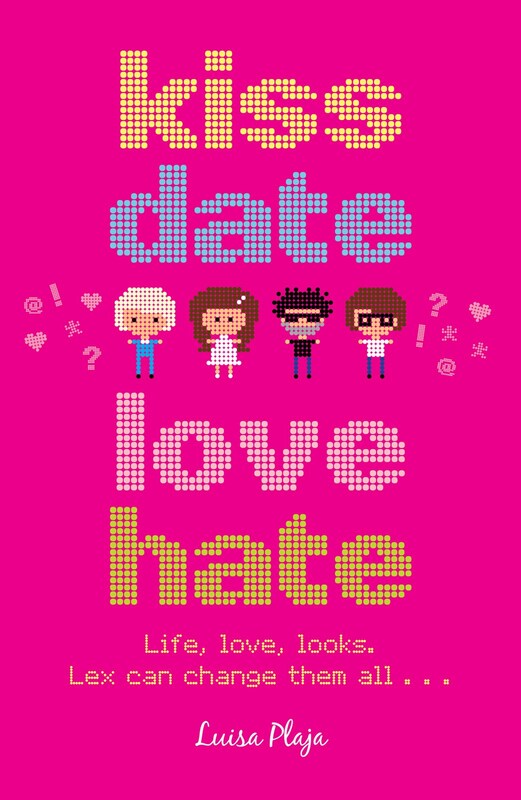 Kiss, Date, Love, Hate by Luisa Plaja - Luisa Plaja is, of course, one my favourite authors, bloggers and people. I've loved all of her books that I've read so far and I think Kiss, Date, Love, Hate sounds absolutely brilliant. I love the mixture of love with a computer game. It speaks to the romantic inside of me as well as the huge nerd that hides away most of the time. I can't wait to find out more. This book is published by Corgi Children's on 2nd February! 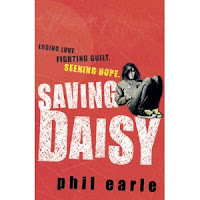 Saving Daisy by Phil Earle - This is a sort of prequel to Being Billy, which I read earlier in the year and I absolutely loved. I mentioned Being Billy on my list of favouite books by British authors earlier in the month and I completely stand by it. It's such a moving, and emotional book about an angry boy trying to get by living in a care home. 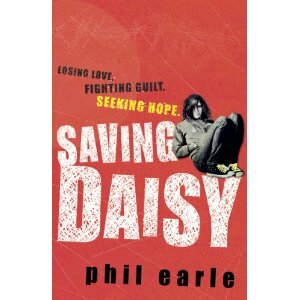 I have very high hopes that Saving Daisy will be just as wonderful. It is being published by Puffin on the 5th of January. 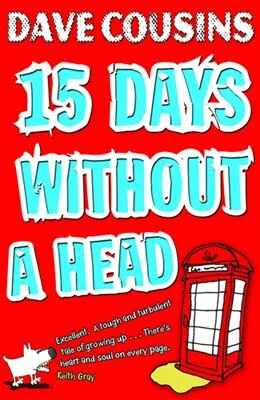 Fifteen Days Without A Head by Dave Cousins - Earlier in the year, my attention was brought to a group of writers blogging about edgy YA fiction, including Dave Cousins. I was lucky enough to interview each of the The Edge authors and after hearing about this book, Fifteen Days Without A Head has sat firmly on my wishlist of books I'm gasping to read. Especially after a fair few early reviews of the book have compared the book to Being Billy by Phil Earle. Look for it in January of next year! Nine Uses for an Ex-Boyfriend by Sarra Manning - Oh! I've just seen the cover art for this! And again, it's Sarra Manning so it has to be on my list. I adore her. I absolutely love her YA stuff, but I'm in love with her adult books as well. If there are any two books I re-read the most recently, it has to be Unsticky and You Don't Have To Say You Love Me, because I feel such strong emotional connections to the two main characters Grace and Neve. So yes, I will have extremely high expectations for this book, and I'm sure that I won't be disappointed. I expect this book to be in my hands on or around the 2nd of February. Preferably earlier. Hollow Pike by James Dawson - I was beginning to struggle with more titles for this list, until some lovely people on Twitter reminded me of some fab titles that I'd had on my mental wishlist and not on my actual one (this has since been corrected!). 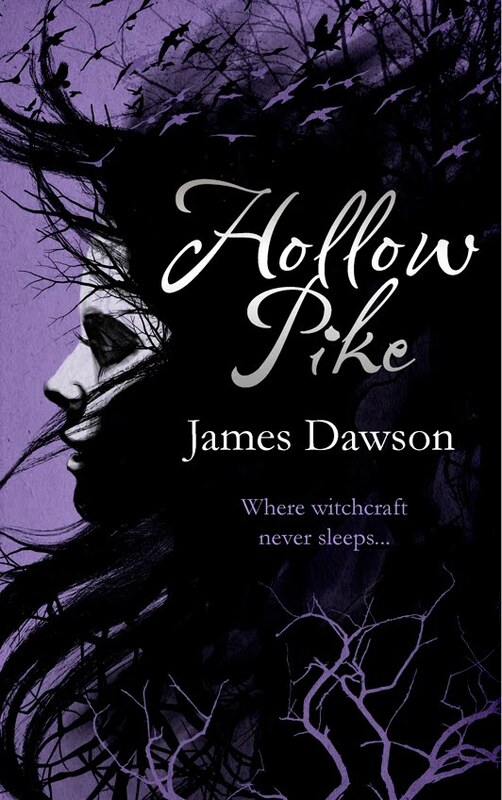 First up is Hollow Pike by James Dawson. I remember when the cover of this book was released it caused huge excitement on Twitter and just to see what everyone was going on about, I started clicking links. And this one sounds really good! Witches and ritual killings and mysterious figures, oh my! I've been recently converted to YA thrillers and hope to continue my love of them with this book. Out on the 2nd of February. 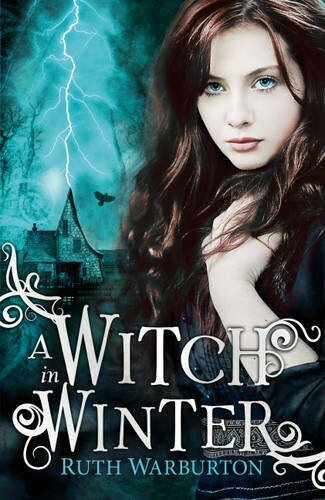 A Witch in Winter by Ruth Warburton - And carrying on with the witch theme, there's this book. Which has a very pretty cover! I have high hopes that there will be something different in this paranormal offering. And I absolutely adore the name 'Seth'! This book is out in January of 2012! So mark your calendars. 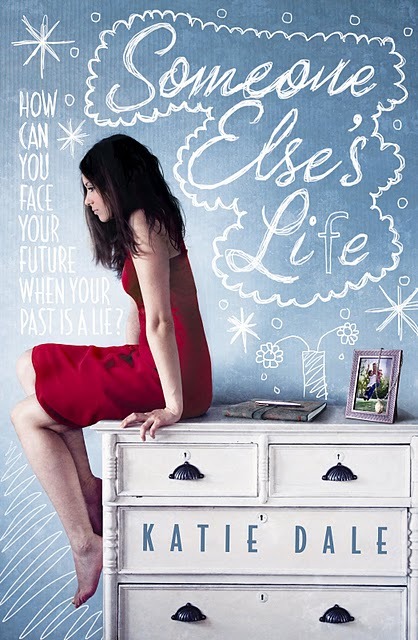 Someone Else's Life by Katie Dale - Katie Dale is another author from The Edge blog, who I interviewed earlier in the year. I really love the sound of her debut novel! Lots of uncovering of dark family secrets and lies, including a trip to California with an ex-boyfriend. It sounds as though it could really be really emotional. I'm really looking forward to it. Published 2nd February 2012. Night School by CJ Daughterty - And finally, to wound up this list of exciting books, we have Night School by CJ Daughterty. Not British as such, but has lived here long enough for me to include her. I absolutely love the sound of Night School! What is it about boarding schools that attract me so much?! And Cimmeria Academy sounds like an unnerving place as our main character is attacked, someone's killed and of course there's this mystery to solve. Which I fully plan on doing in January of next year! So, these are the books by British authors that I'm most looking forward to reading. Which books would YOU put on your list? I really want to know. Let's share the excitement! I'm really looking forward to Torn; Kiss, Date, Love, Hate; both Sarra Manning's and Someone Else's Life. Great picks! Such a great list here, many of them are on my mental wish list too. Yikes, all of the books you have listed are new to me, Clover! There are so many mystery series from the British Isles I want to read. How about Among Others, by Jo Walton, when it comes out in softcover in January 2012? She's Welsh, lives in Canada now, would she count for your read British books? Sophie - Thank you! There's so many wonderful books by British authors coming up in the new year, I'm so excited! Zoe - You're welcome! I absolutely ADORE Sarra Manning! Susan - She might do? Usually the requirement for that is where the author first publishes her book. If it was first published in Canada, I'd probably count her as Canadian, even though she's Welsh!